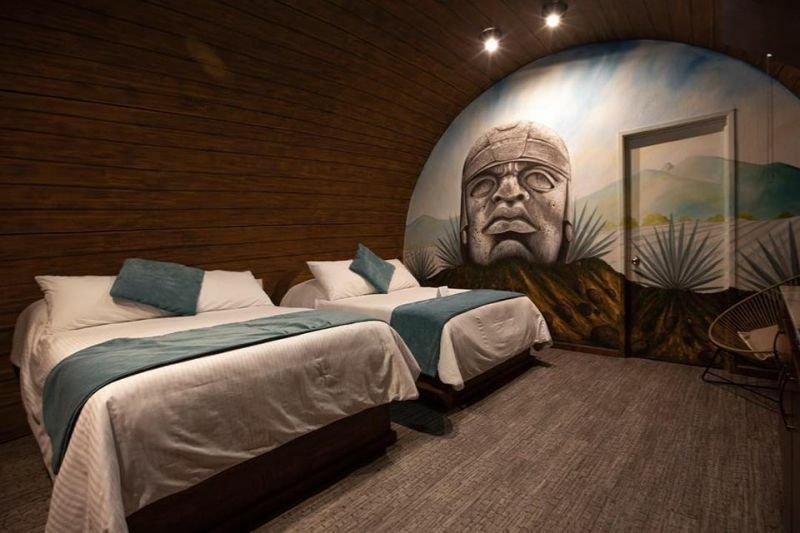 Matices Hotel de Barricas is a unique holiday accommodation located just outside the Mexican town of Tequila. 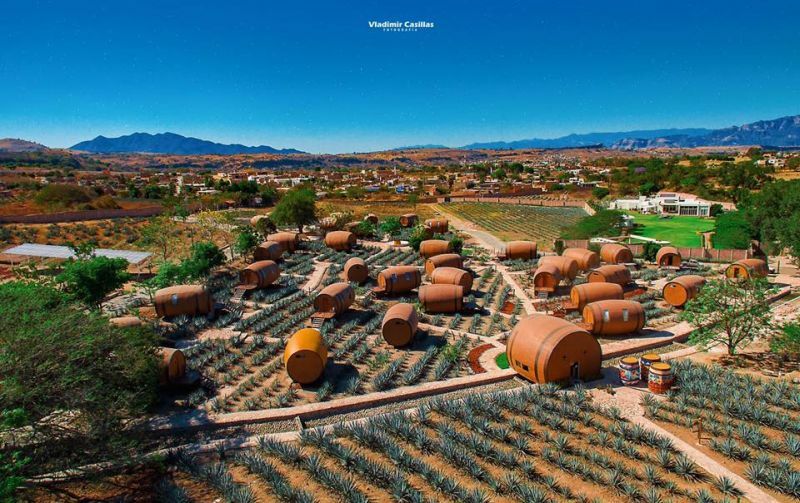 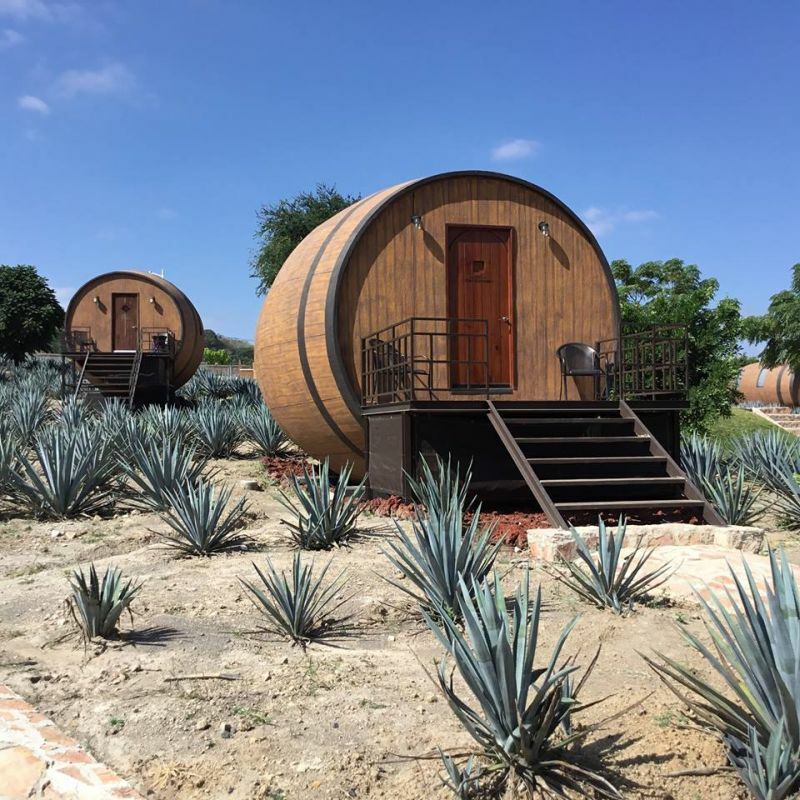 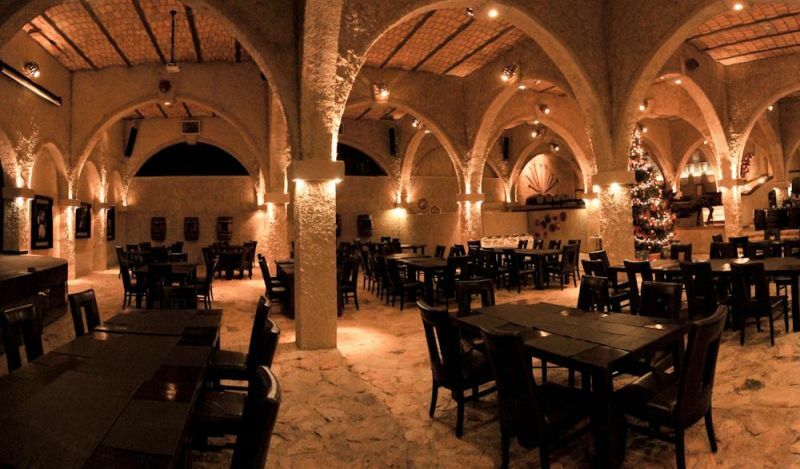 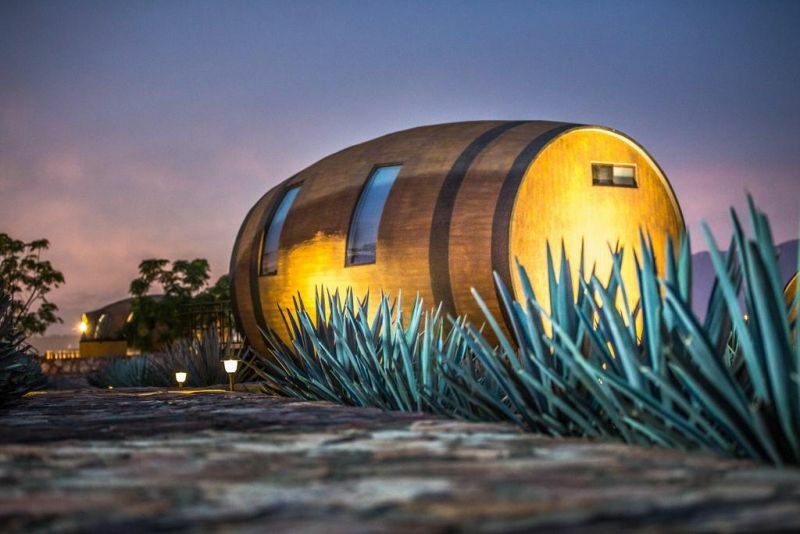 With barrel-shaped rooms located within an agave field and a nearby Tequila Brewery, guests have a great chance to immerse themselves in a tequila-inspired atmosphere. 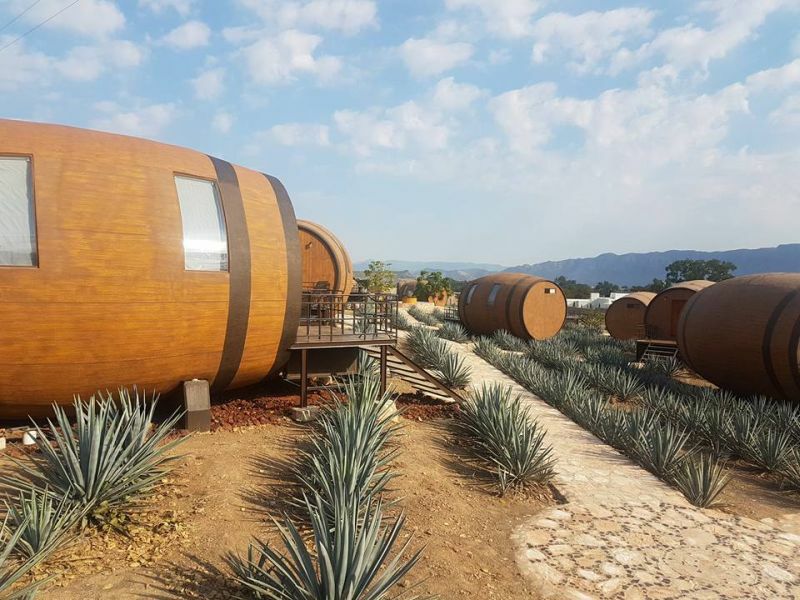 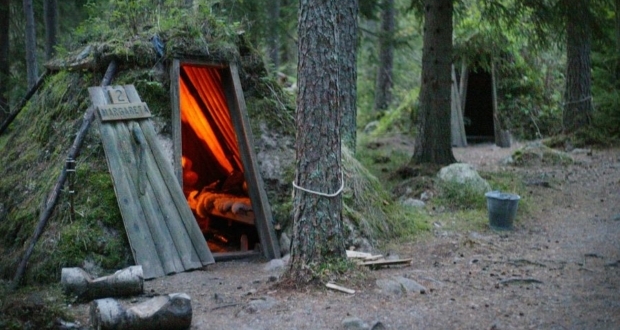 Stay at the hotel guarantees different activities based around the spirit and a one-of-a-kind experience of staying inside a barrel-shaped room. 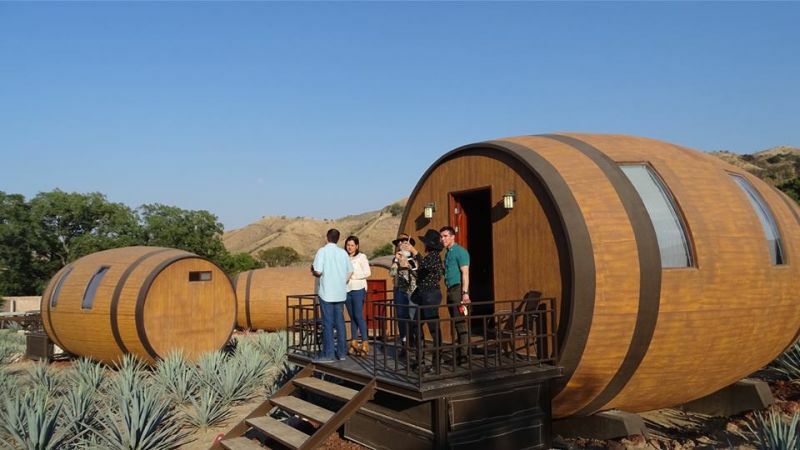 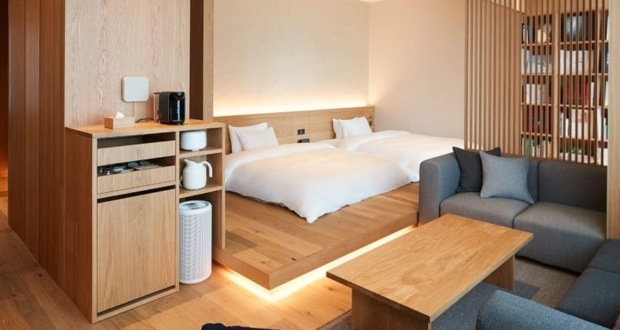 Each barrel-shaped accommodation has a double bed, sofa, coffee maker and a mini bar along with air-conditioning for a cozy feeling all day long. 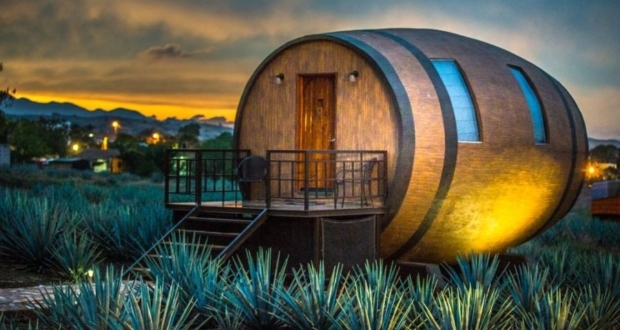 The private bathroom includes a shower and a toilet. 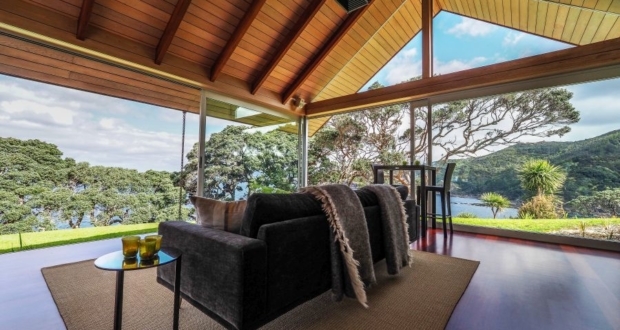 There is also a terrace with great views of the surrounding valley. 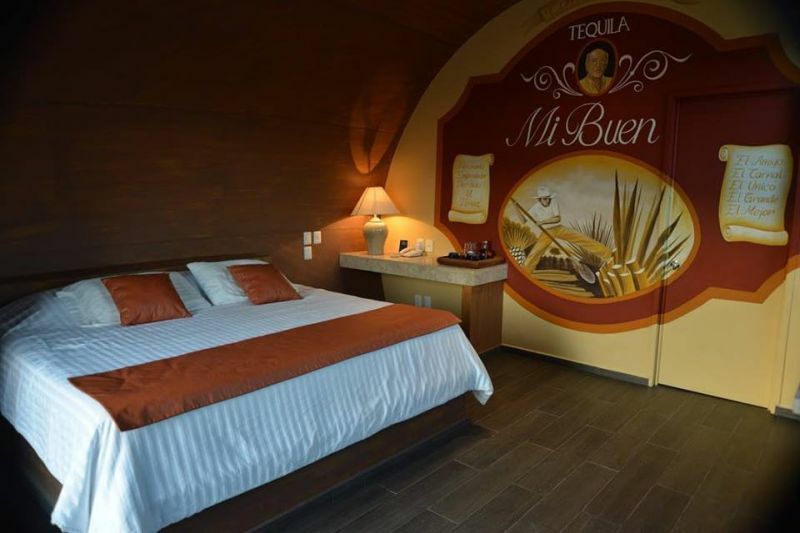 Guests are offered traditional regional food, as well as a range of tequila-based cocktails, did you ask for more? 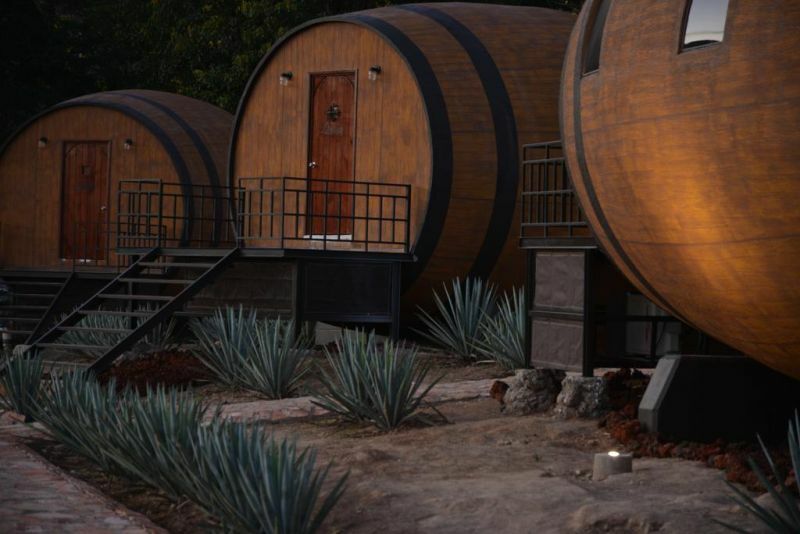 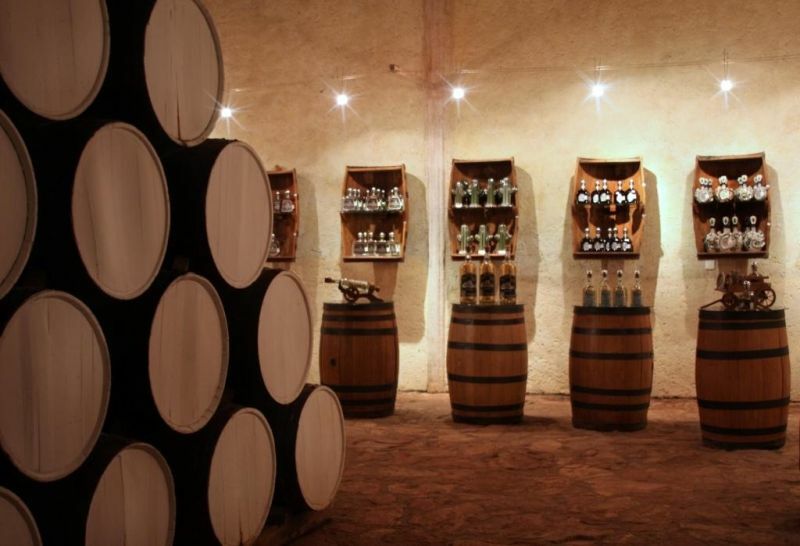 The hotel offers tequila tasting sessions and guided tours of the on-site brewery. 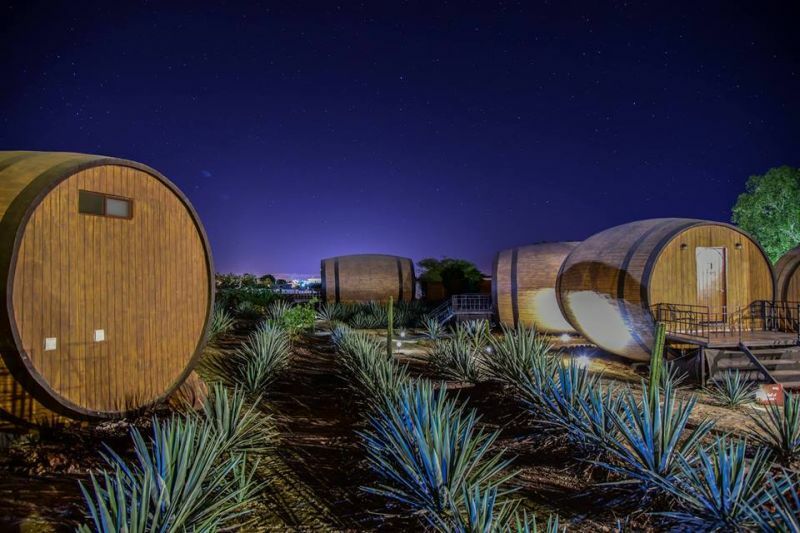 If you are into tequila, this is a must-visit place for you. 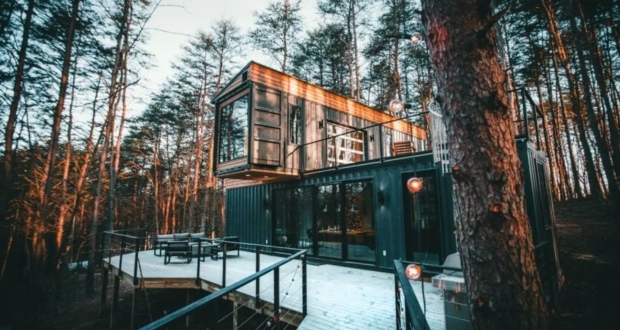 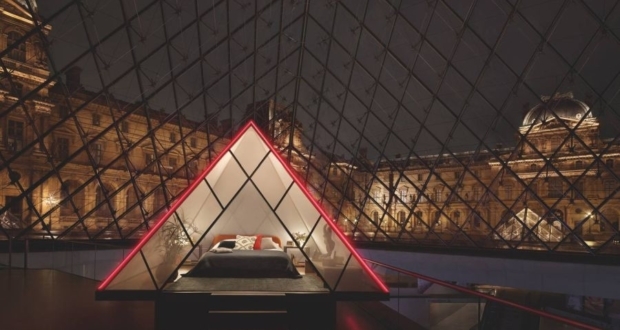 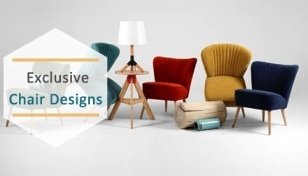 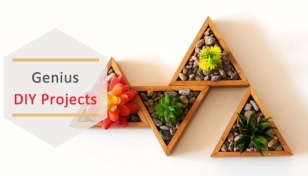 It is a fantastic vacation home idea gaining traction amid young couples. 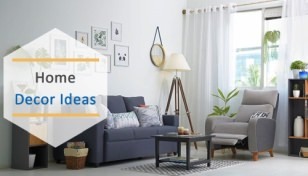 Check out the listing at Booking.com for more information and details.